This 2 bedroom, 2 bath, 1,400+ sq. 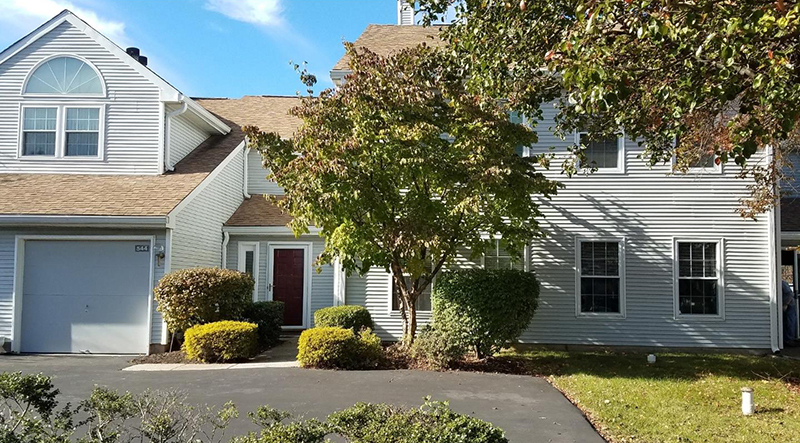 ft. first floor condo with 1-car attached garage in Lower Makefield's Makefield Glen neighborhood was just sold by Keller Williams† for $210,000. There are no condos or townhomes currently for sale in the subdivision. Three townhomes are under agreement (sale pending). Over the past 12 months there were 54 flats and townhomes (including this one) sold in Makefield Glen ranging from $210,000 to $357,500 (median, $255,000). The record-high resale price for a Makefield Glen flat occurred more than 11 years ago (March, 2006); the 2 bedroom, 2 bath, first floor unit sold for $285,000. The record for a townhome was set 4 years ago (October, 2013); the 3 bedroom, 2‑1/2 bath end unit on Aspen Woods Drive sold for $410,000. Browse all Yardley/Lower Makefield Homes For Sale. To arrange private showings contact the John McClintock Team at 267‑759‑9518. Considering selling your Bucks/Montgomery County home?